We absolutely fell in love with this wedding. Lindsay and Nathan lit up after they saw each other and maintained this unbelievable connection throughout the ceremony and right through the dancing. Although they now live in California, they said their vows right here at the Basilica in Minneapolis, Minnesota, partly as a tribute to the place they met and fell in love. The reception was at Muse was stunning, thanks in large part to an amazing wedding designer who put so much attention into the details. Speaking of details, if bow ties are going to be your neck wear of choice, make sure a couple people know how to tie them; they actually seem to require a little bit of practice. Everyone tried their hand at it, but in the end one trooper of a groomsman tied all of them. It took a while, but they were a sartorial hit. Because the couple was so madly in love, shooting and editing their wedding was a sweet experience. Yes, Muse looked amazing, the bow ties were cool, and the Basilica was beautiful, but it was all window dressing compared to seeing the chemistry between Lindsay and Nathan. It is our single favorite part of the job to be witness to this kind of love and happiness. Even though sometimes there’s cake. It’s a tough call. 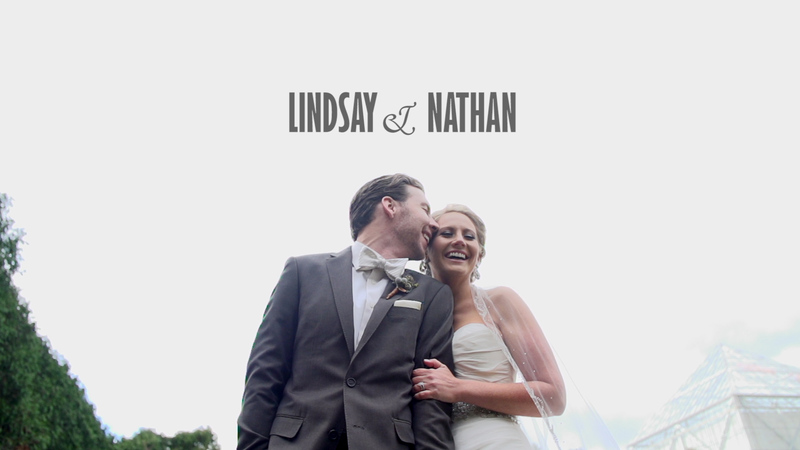 Thank you to Lindsay and Nathan letting us be a part of your day!